This is a movie that I like more a few hours later than I did while watching it. Rara, a 13 year old girl, slowly she becomes aware that the normal things 13 year olds do, like hate their parents, are getting way more attention than they ought. I like movies where the point of view of the protagonist is maintained. So we do not really know about the things the girl’s parents don’t want her to know. The most amazing thing about the movie is how absolutely American it is in every way, except its set in Chile. In the bathroom there is a frosted glass bottle with some liquid in it and those sticks people put in those bottles, just like here! Houses just like I had in Shoreline, only nicer. schools where kids play volleyball, parents yelling at their kids to get in the Japanese SUV because they are late for work, lesbians, people embarrassed that they still smoke, clueless teachers, kids bickering over crayons, all happening in physical settings that are indistinguishable from normal upperish class areas here. 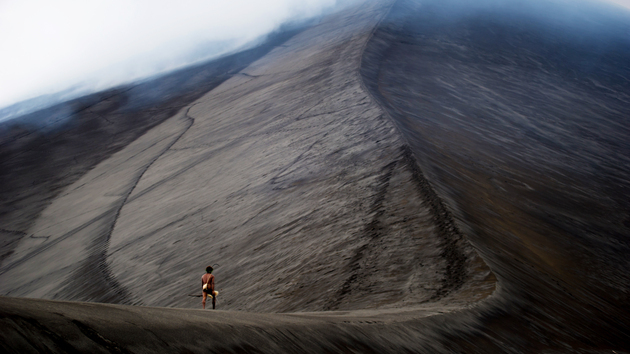 Tanna is a tiny island in the Vanuatu archipelago near Australia. This is a beautiful movie, beautifully made, which I highly recommend. This is a movie movie, not a documentary. 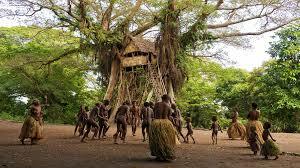 First movie ever filmed in Vanuatu. Oldest story line on earth, well told. The actors are mostly present day residents of the island, who live pretty much in the manner depicted. Based on actual events, which occurred in the 1980’s. The actors are gorgeous, the kids are fantastic. This is why I love SIFF, this movie, right here. An amazing documentary. 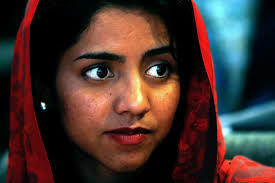 We are introduced to Sonita, a teen-aged refugee from Afganistan barely getting by in Tehran, who wants to be a rap singer but whose family wants her to go back to Afganistan for an arranged marriage. The bride price they will get for her is a big part of the calculus. So we get a rap song about bride prices. If you think about the globally diverse cultural threads that are part of this story, it is mind blowing. Interesting, also, that people escape to Iran, it is a more heterogeneous and open society than Afganistan, where 15 years of US involvement has just made things worse. My favorite scene: kids in school are assigned to draw a picture of their passport if they could live anyplace in the world. Sonita draws her’s as a US passport, and says that this will allow her to go anywhere. Except Iran, as the teacher points out. An epic. More accurately, a saga, based on the Saga of Haakon Haakonsson, an unusually well documented account of the life of the most successful Norwegian king of the Middle Ages. “Lord of the Rings” was walking and fighting, walking and fighting. “Last of the Mohicans” was running and fighting, running and fighting. “The Last King” is skiing and fighting, skiing and fighting”. All good movies. This one has high production values, a good story to tell and is a lot of fun to watch. If you watch “Game of Thrones”, the big Wilding with the red hair is one of the stars of this movie. Plays pretty much the same guy. Set in the world of ballet in Cuba. It focuses on three generations of dancers, a grand dame luxuriating in the fame of her past accomplishments, the Big Star of the moment, and an aspiring dancer. Anything set in Cuba is fun to watch, what a place! Ballet confuses me. On one hand, it takes young girls and enmeshes them in what is, on many levels, a systematic challenge to their self esteem. They are endlessly criticized by their teachers, forced to strive toward very artificial standards of perfection, ruthlessly eliminated from advancement in grueling competitions, expected to give up any non-ballet interests or pursuits, physically challenged in objectively cruel ways. On the other hand, it is one of the few pursuits in which the stars are virtually always women, and they are treated royally. Being in great shape and doing difficult things is a wonderful experience, and participation is (creepy parents aside) voluntary. Also confusing: I don’t really enjoy watching ballet, except for the occasional times I am brought to tears by the sheer beauty of a moment. This is likely to be a big deal movie at SIFF, the more so because the subject of the documentary will not just appear but will perform. Of course, Thomas Gray wrote before the internet, which allowed Princess Shaw, as encaved and unseen as can be imagined, to post her sweetness on You Tube in the form of songs she composes and performs a cappella. What seems to be an almost random set of complications ensued and now she has a movie about her, has been mentioned in the New York Times, and, above all, has been acknowledged as a uniquely talented person. 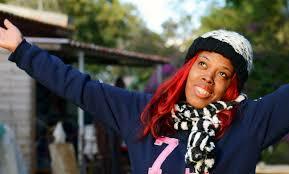 I really think she ought to become rich and famous, against all odds. I have to wonder how they got some of the footage in the movie. Events that occurred well before their significance was known are right there on tape. She does not seem to be acting, and these do not seem to be re-enactments. So, who taped her and why? I really do not think anything was faked for the movie, but I can’t figure it out. Recommended. My favorite scene in the movie is basically the last frame, which one could say a lot about but for concerns about spoilers. This is one of those movies we call, “How people live there”, “there” in this case being rural Argentina. How they do Christmas. What small towns look like. How funerals are done. Real stuff. I have often thought, while watching a movie, about the actor who has two lines, or even the extras walking by, and thought: this is this person’s big break into show business. Brad Pitt’s first screen appearance is a guy sitting in a courtroom in “All the President’s Men”. I first had this thought as a kid watching a WWII movie of the troops storming a beach and the friend of the lead character gets killed right away, and the lead makes his way to shelter and rallies some guys to storm a bunker. And for some reason I identified with that guy who got shot back there, and always have, and have never known why. I had this thought about a character in this movie, and 15 minutes later she turned out to be a major character, and she expressed that very thought about movie extras in a way better than I could, and I think now I know why I have always had this reaction. There Are two other actors with small roles who deliver amazing, soulful performances. I have the sense that one or both of them are well known in Argentina, and agreed to small roles in an indy movie. Or not, but that sort of thing happens a lot, and I think it is a better movie to watch not recognizing such actors. I did not see this one, but Marion did and liked it very much. She says it is sweet with a tinge of black humor. One of the stars of the movie is a dog, so that’s got to be good. I plan to see during regular festival. The Spanish approach to comedy is unique. Documentary. Recommended. Marion and I both appreciate a type of documentary we call, “a guy who is into his thing”. In this case the guy’s thing is the 5 piano concertos of Beethoven. The guy is Leif Ove Andsnes, who is apparently a big deal classical pianist. So, he is sitting at the piano describing what Beethoven was doing at a certain passage, and mind you he has probably played this and similar music for well over the requisite 10,000 hours, and he finishes playing and holds up his arm to show the gooseflesh he gets, presumably every time. Way into his thing. The movie consists largely of close-ups of musicians playing, with voice over narration by our guy of what is happening with the music. I do not properly appreciate classical music, but I love this sort of thing. Some passages do make me cry, not because I really get what the music is doing, but because, my best guess, is that the music bypasses my cortex entirely, I have a neurological response, not a cognitive one. We get a twofer here, because in addition to Leif, the movie is equally about a second guy who was into his thing, Ludwig. Beethoven wrote the first concerto when he was first making his reputation in Viennese music circles. He was a virtuoso pianist, and a lot of his compositions started out as improvisations, which musicians of the day did a lot. The fifth concerto was not at the end of his career by a long way, but when he finished it, his hearing was bad enough that he could not actually play it. 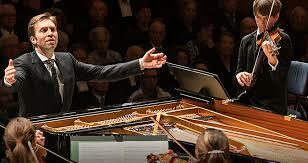 It was the only piano concerto he did not play himself when it debuted, and he never wrote another piano concerto. And in between the first and the fifth we are given to understand the context in which the music was composed; both in the wider culture and to Beethoven himself. Great stuff. Best trivia of the movie, they went in the order Beethoven wrote them, so they started with Piano Concerto 2, which he wrote before #1.